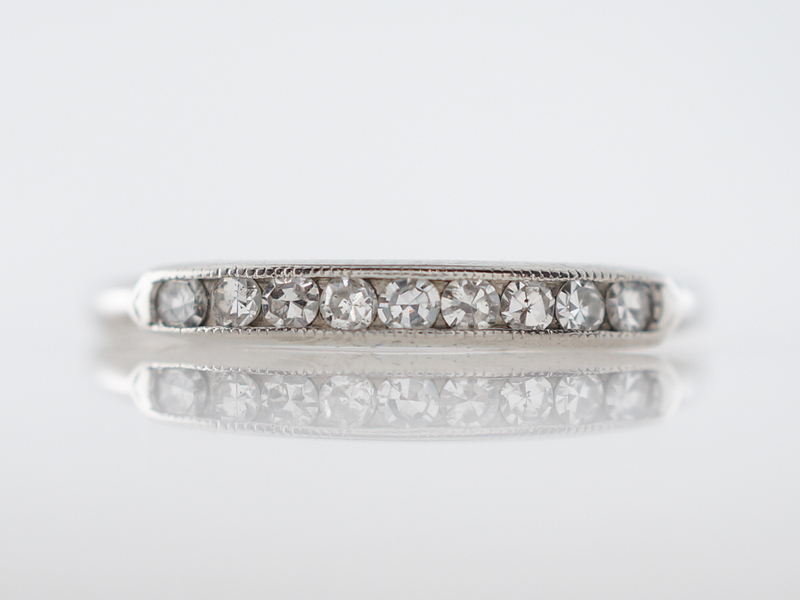 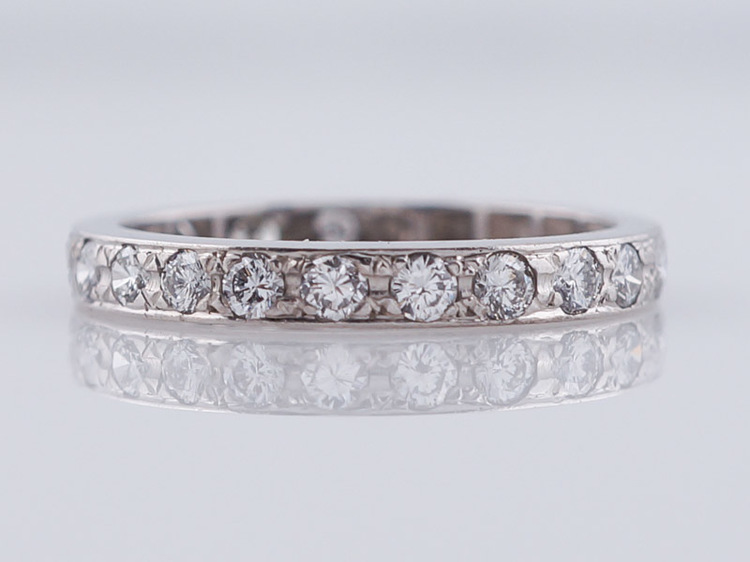 This original art deco wedding band features nine (9) single cut diamonds totaling .23 carats. 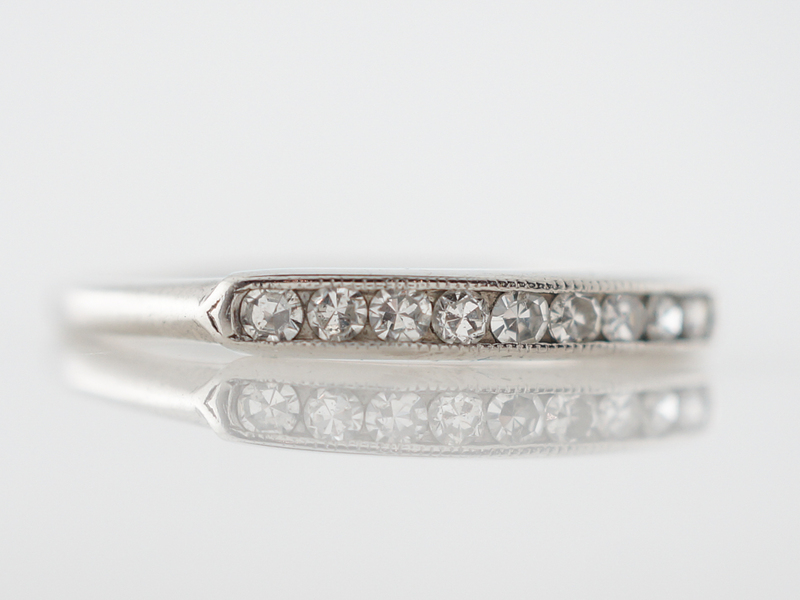 The diamonds are channel set across the face and are framed by milgrain detailing. 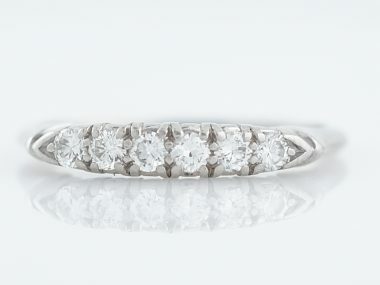 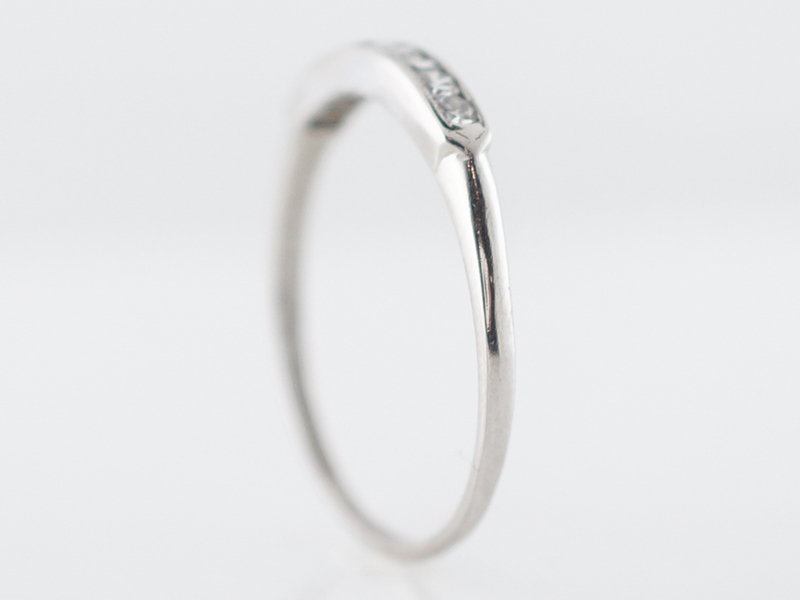 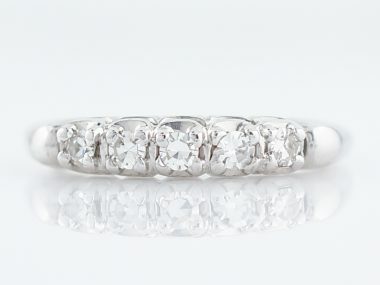 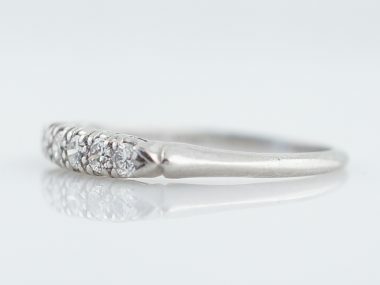 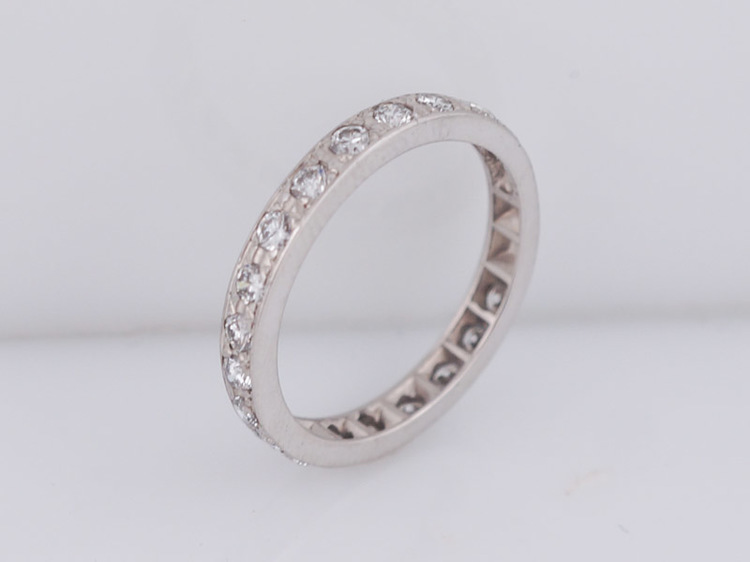 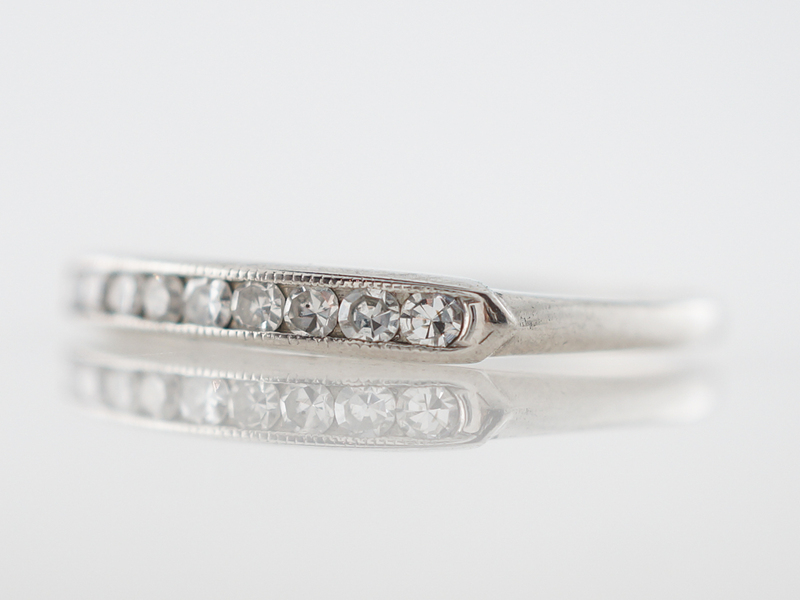 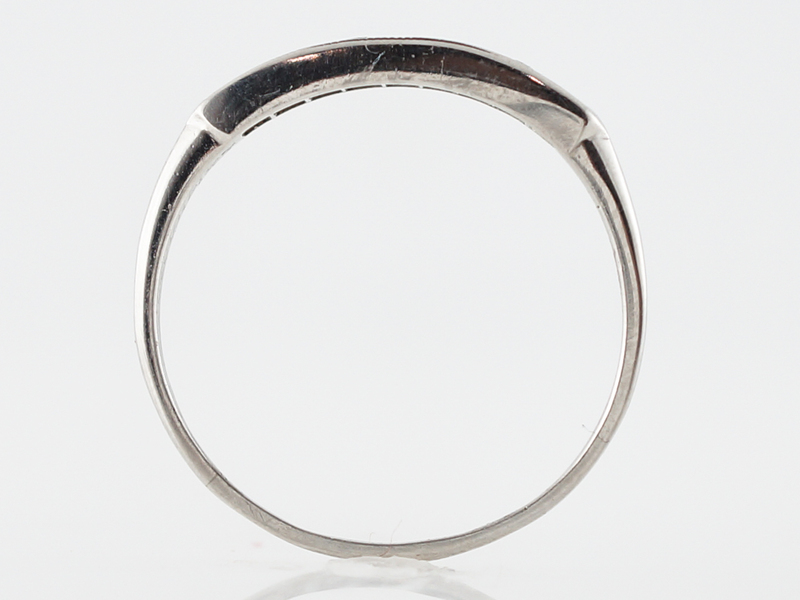 Finished in platinum, this gorgeous band will pair nicely with an engagement ring or in a stack of bands.